Posted on December 18, 2017 at 3:29 pm. 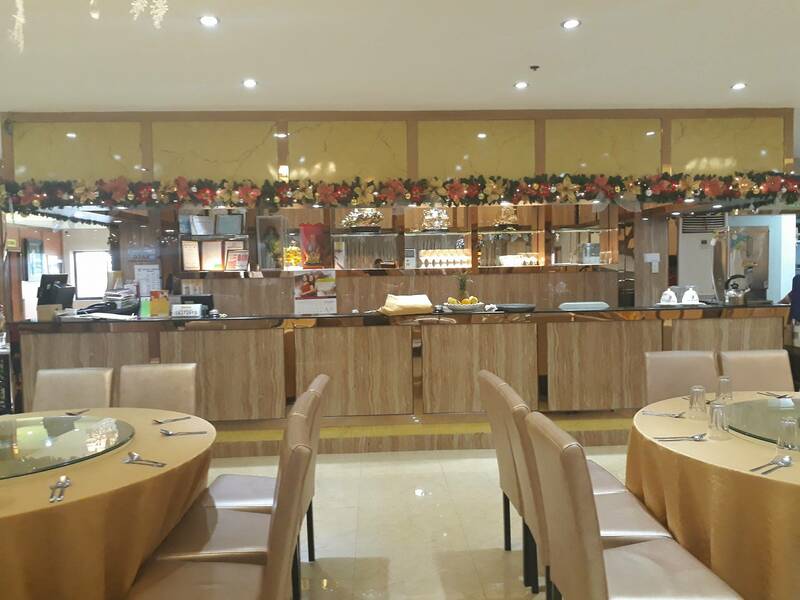 Who knew there was more great Chinese food in Legazpi than we thought was available? Last December 6, we drove to Legazpi for a meeting at South Ocean Villa, and it was a revelation. South Ocean Villa, or strictly speaking South Ocean Villa by David’s Tea House, is a Chinese restaurant in Legazpi. It specializes in Hong Kong cuisine. All its food comes from David’s Tea House (thus the “by David’s Tea House” in its complete name). We were completely unaware of its existence until that particular day in December. I’ll go into more of the food later, but let me begin by saying I love – loooooooooooove – South Ocean Villa’s Buchi. First, its bigger than other Buchis I’ve had in other Chinese restaurants. But its big size doesn’t matter much unless you love its taste. And it just so happens I loved the taste! I was told it’s cooked fresh for every order. And it showed. 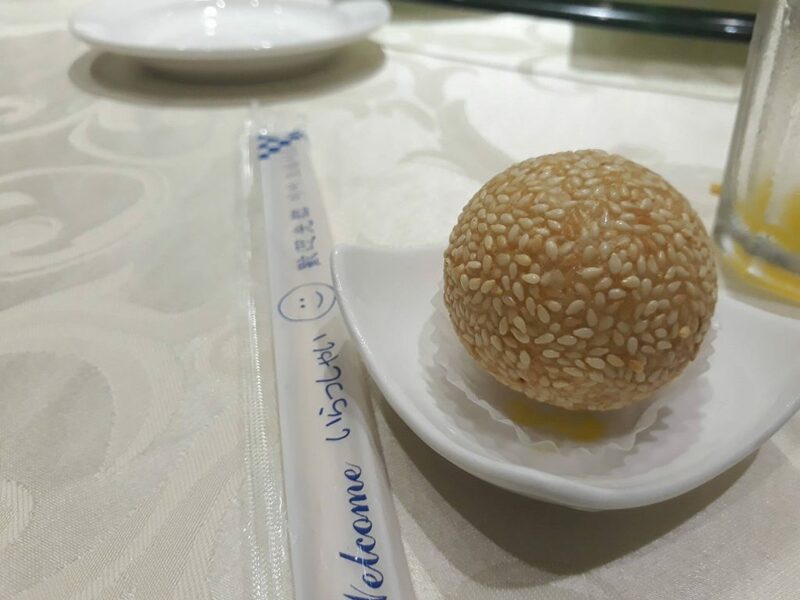 When I bit into one, the outer shell (the one with the sesame seeds) was so crunchy and not at all sticky, you could tell right away it’s freshly made. And the filling tasted just as good. It was glutinous without being gummy. And again, it was so freshly made I felt my tongue go numb a bit because of the really hot filling. It was so good that, after finishing one Buchi and numb tongue notwithstanding, I immediately reached for another. Caution: Eat this Buchi slowly. It’s freshly made so you might burn your tongue. However, it’s so yummy you’ll want to eat it quickly. South Ocean Villa by David’s Tea House is located in a building right across Ayala Mall in Legazpi. You can park right outside the building, if you’re lucky enough to find a slot free. 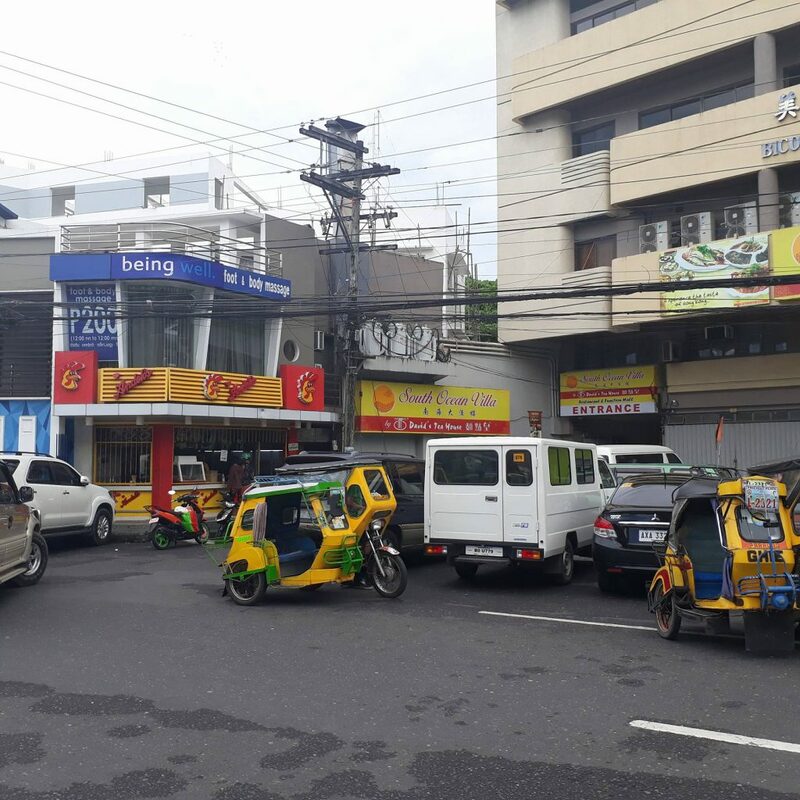 There is parking for several vehicles inside, but if you can’t find any free slot, you may park in Ayala Mall then just walk across to South Ocean Villa. First realization: the restaurant is big. And it’s actually big enough to hold functions for up to 220 persons. In fact, when we went there, there was a seminar ongoing. Others may hold their wedding or debutante celebration at South Ocean Villa for very reasonable prices. And you can be sure your guests will love the food that’ll be served. Check out the wedding and debut packages available at South Ocean Villa. 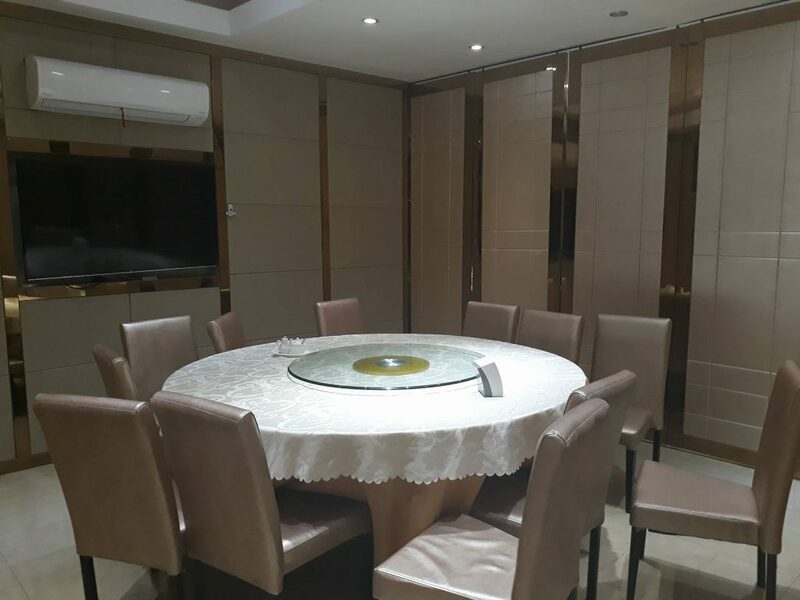 Second realization: it has private dining rooms. A private dining room is a good idea if you and your family wish to dine in private, if you are meeting with a VIP, or if you are pitching to a small group of your colleagues. 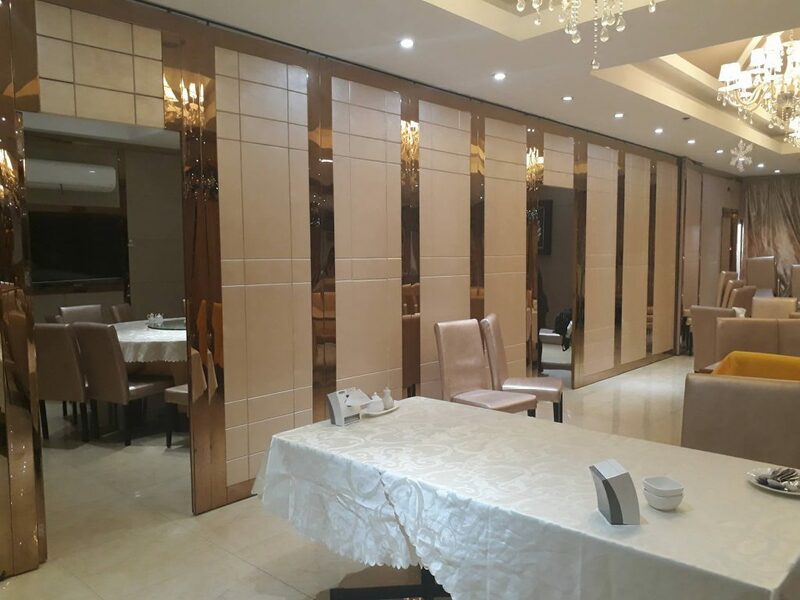 I knew of Chinese restaurants in Manila offering private dining rooms for families or groups. I wasn’t aware of any Chinese restaurant in Legazpi (even in Naga) that offered a similar facility. South Ocean Villa has three private dining rooms. Each has air-conditioning. Each is accessible via a discreet doorway that is indistinguishable from the restaurant’s wall. All three may be combined to accommodate a party of around 30 to 40 persons. We actually dined in one of the private rooms. 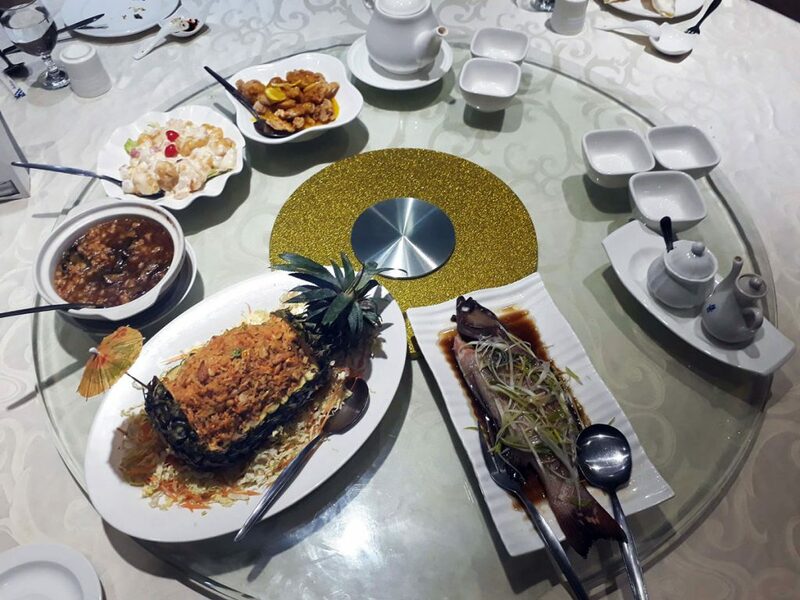 Third realization: South Ocean Villa offers authentic Chinese food. 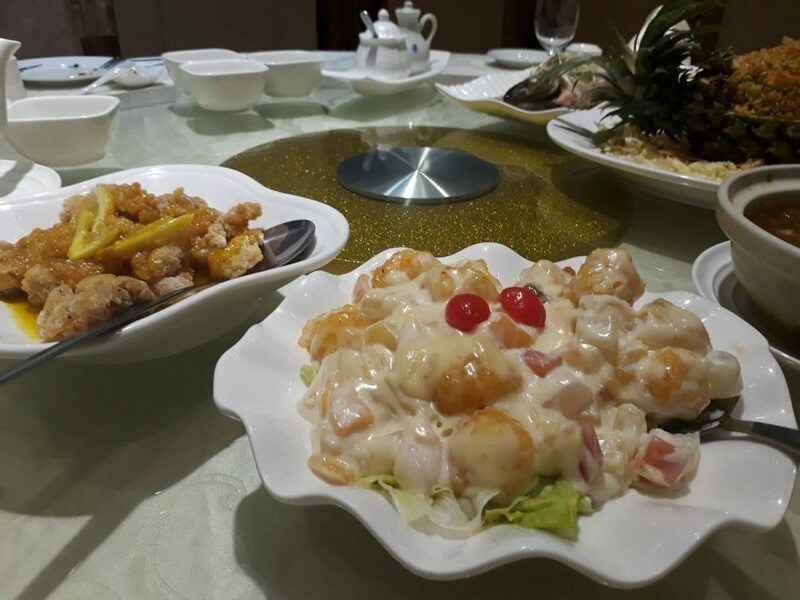 If you’re looking for Chinese food in Legazpi, be sure to visit South Ocean Villa by David’s Tea House . Aside from the Buchi, we also tried Pineapple Fried Rice, Steamed Lapu-Lapu, Lemon Chicken, Minced Pork with Eggplant, and Hot Prawn Salad. Every one of these dishes was a stand-out. And we couldn’t stop eating and tasting. I particularly loved the minced pork with eggplant and the hot prawn salad. The minced pork with eggplant looked simple enough, but the flavor – WOW! Then the Hot Prawn Salad tasted wonderful. I thought I wouldn’t like it because I don’t like salads with so much dressing, but I was wrong. I had multiple servings of the prawn salad. The prawn’s texture was great, which means it was cooked just right.